Speaking ahead of a meeting between representatives of both countries in Beijing later this week, Cook is hopeful some sort of resolution can be reached in the talks, especially as it seems each of the nations' governments are seemingly willing to negotiate. "Both sides are talking and I always think that is always the essential thing to reaching an agreement," Cook advised to NPR on Monday. "It's in both parties' best interests to come together." The trade discussion between the US and China is an attempt to make an agreement before a March 1 deadline, with the aim to make an agreement on a number of issues, including intellectual property rights. If the deadline is not met, the Trump Administration has threatened to increase tariffs on imports from China, raising them from current levels of approximately 10 percent to 25 percent. 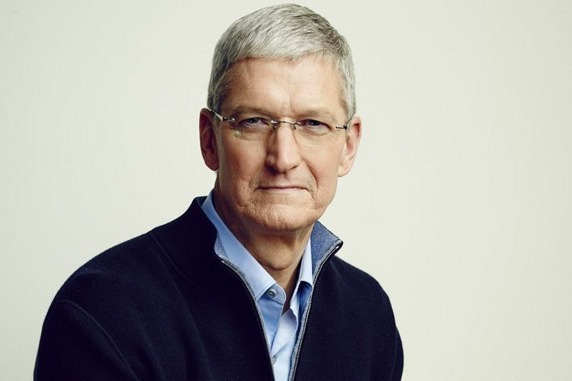 In the event the tariffs are raised, Cook believes that it is likely that Chinese officials will retaliate by economically attacking US-based companies in China, with Apple a prime target for punishment. As analysts believe close to 20 percent of Apple's business stems from the country, retaliation could prove costly to the iPhone producer. The prospect of retaliation is a real issue for Apple, as analysts have previously suggested. In December, it was revealed a number of companies in China are urging their employees to boycott Apple products, following the arrest of Huawei CFO Meng Wanzhou in December. As well as showing solidarity for another Chinese company, it is likely that some of the drive for the move is down to the current trade tensions between the two nations. Further retribution from the Chinese government would cause even more pressure on Apple, on top of issues it would face from the US government's own tariff rises. So far, iPhones have yet to be caught up in the tariff war, but President Donald Trump has hinted at including the smartphones in the future if the situation doesn't improve. Analysts believe that, if such tariffs are applied to iPhones being imported to the United States from China, it could potentially increase the cost per device by between $60 and $160. While a major market, Apple has stumbled in China, with its latest quarterly results revealing a 26.7 percent year-on-year drop in revenue, with Cook noting the country accounted for "all of our revenue shortfall to our guidance and for much more than our entire year-over-year revenue decline." To counter falling sales, Apple has slashed prices of the iPhone 8 and iPhone XR, a tactic that seemed to have worked. For one retailer in the region that cut its prices on January 13, it reported a 76 percent surge in sales of the two models by January 29.